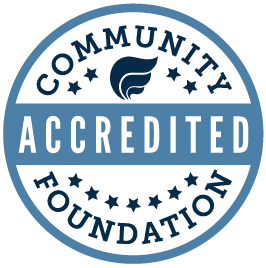 The Quad Cities Community Foundation administers multiple scholarship funds, all started by donors who want to ensure students are able to continue their education at community colleges and four-year institutions. Over 35 scholarship applications are available through our website. When we include scholarships that are able to be renewed each year students are in school, these applications result in nearly $600,000 in scholarships being distributed by the Community Foundation every year to help students meet their higher education goals. We offer scholarships for students in Iowa, Illinois and both states. Scholarships are also available for students based on their financial need, their status in school (first-year, transfer or otherwise), and by trades they are interested in getting into. View scholarships listed by category by clicking into the buttons below. You, your parents or your guidance counselors may have questions about the scholarships we offer. We’ve compiled a list of frequently asked questions in an effort to answer anything that may come up. Still have questions? Contact Lisa Stachula, grantmaking specialist, at (563) 326-2840. We’re here to help. For more than a decade, the Quad Cities Community Foundation has been providing financial assistance to area students. Whether it be in the form of a scholarship or an educational loan, the Community Foundation and its family of donors support students' pursuit of higher education. We currently offer one educational loan to students in need: the Nabstedt loan. We understand applying for financial assistance can be difficult and we welcome any questions you may have. Contact Lisa Stachula, grantmaking specialist, at (563) 326-2840 for more information. November 1, 2018 / Scholarship applications available online scholarship system. January 3, 2019 / Quad City Regional Auto Show Scholarship Applications due by 11:59 pm via our online scholarship system. All supplemental material must also be submitted online by this date. See FAQs for more details. February 15, 2019 / All other scholarship applications are due by 11:59 pm via our online scholarship system. Paper applications will not be accepted. All supplemental material must also be submitted online by this date. See FAQs for more details. April 2019 / Scholarship Committee evaluates and selects recipients. May 2019 / Scholarship applicants are notified by email. May 5, 5019 / Scholarship Reception. All recipients are encouraged to attend to meet the donors and the scholarship committee. June 15, 2019 / Deadline for scholarship recipients to submit Student Information Sheet via our online scholarship system. July to August 2019 / Scholarships checks are sent to educational institutions.